I frequently think of things I’d like to say about the phrases people use in search engines and find my site. Today I saw the phrase, “verbal rages in marriage.” I know I have mentioned verbal rage previously, but thought I’d make this a separate post. I think the issue of verbal rage is become a more and more common occurrence in families, even in church. I also think there are some behaviors we are accepting in society in general, as well as in the church, that lead to our acceptance of rage as acceptable behavior. There is increasing overall acceptance of societally lack of emotional restraint. People think they are entitled to yell at the fast-food server who mixes up their order, at the city worker who enforces those inconvenient sign ordinances, at the kids skateboarding in the parking lot, etc. We “speak” to people in e-mail in ways we would be unlikely to do face-to-face. These sitations occur with the slightest provocation – things that are minor annoyances at the hands of someone who is not respected. If we can be rude, even yelling and swearing, at someone we do not respect in public, what will we do in the privacy of our own homes when someone who “should know better” does something that really bothers us? There are also Christians who wouldn’t dream of acting this way in public. After all, we love the lost and have our “witnessing” face on at all times. In church we have our “good Christian” face on because that is our identity. But at home we’re dealing with family members who should know better and with whom we are entitled to be ourselves. The cork pops off the pressurized bottle. But we think that’s OK because it’s being honest and not keeping our feelings bottled up. There is also an erroneous idea that we are entitled to “stand up for ourselves” with emotional outbursts. If someone “attacks” us – that can be any questioning of motives or actions – it is only right to stand up for ourselves, including screaming, swearing, and maybe even physical action. And when outbursts such as these are acceptable for rather common occurrences, to what can we resort when seriously angry or provoked? The only option is to get louder, use more profanity, add physical violence to the mix. Another version of rage in families, perhaps more common with women, is to turn on a screaming, crying, poor-me, manipulative outburst. It may come with spiritualizations — “I am so grieved…” “I sense in my spirit…” “God told me…” But these phrases are merely window-dressing if they are used to accomplish manipulative ends or in the expression of crying rage. It is still just rage wrapped in tears and feminized. This is happening in homes more and more, including Christian homes. Moreover, there is never an occasion when angry rage is an acceptable behavior in our homes. Anger, in any form, will not, cannot, accomplish a good purpose (James 1:20). Rage goes beyond anger. It is emotional violence — out of control. I thank you for this information. 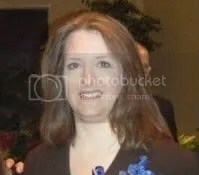 I have some Christian friends who think above all that I should stay married but I am in a verbally abusive relationship with my husband and I need to leave and take my kids because he is not changing his ways and I am not getting any younger. His father is just like him and his mother will be me some day – a lifeless women who just is. Thank you so kindly for this site and information. I am relieved to know that I am not alone. I have endured a 14 + year marriage of control, isolation, verbal and emotional abuse. Last Friday, when I was going to insist we separate, he came to ADMIT what he has done and started the Love Dare on Monday. All I feel is calculated anticipation of a task on a list and being forced to feel grateful and thank him for his miraculous behavior. It IS FORCING ME TO FEEL INDEBTEDNESS TO HIM that I IN NO WAY WANT TO RECEIVE. This charade is INSANE. It is CONTROLLING ME again. I don’t want to hear the words I LOVE YOU, which he has told me over and over through the years. I don’t want to receive ANYTHING from him. This exercise is not for ABUSED WOMEN who desperately need SEPARATION to heal and save themselves. It makes me sick. It wouldn’t be surprising if he felt your withdrawal and anticipated your actions, and intiated the Love Dare as a proactive manipulation. And in the case of abuse, if an abuser really is sorry for his behavior and wants to take a real love dare – he will cooperate with a separation for healing with no pressure. Have you seen my article about Fireproof? You are not alone in your feelings about that either! You are right! Be sure to read The Issue at the Heart of Domestic Violence too. I wish you the best on the journey. It is extremely difficult, but well worth it.